Elisabeth Zimmermann is a cultural manager living in Vienna. She studied at the International Centre for Culture and Management (ICCM) in Salzburg and has been involved in organizing, coordinating, and curating radio art projects, symposia, CDs, publications, and international telematic art projects. She has held various presentations and lectures on radio art projects at national and international festivals. 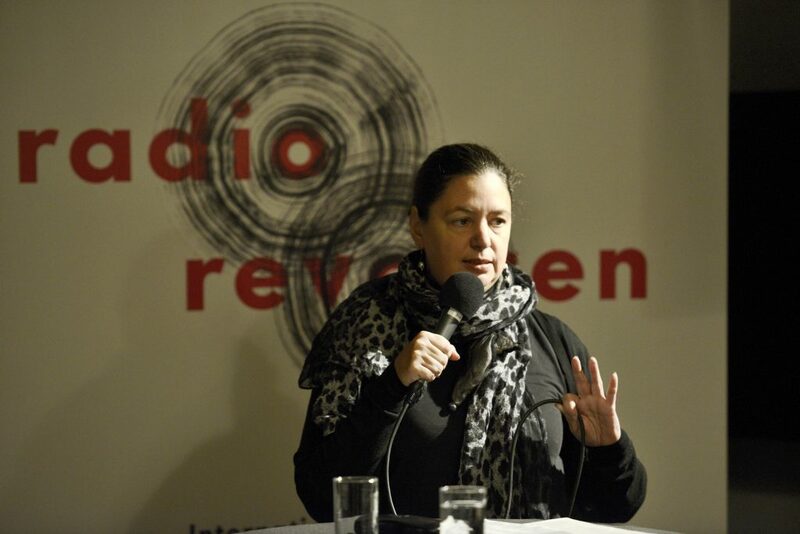 Since 1998, she has been the producer of the weekly radio art programm Kunstradio – Radiokunst (https://kunstradio.at) on the cultural channel of ORF (Austrian National radio). In 1999, she founded werks – an art association dedicated to the realization of artistic projects in telecommunications media. She is the Vice-chair of the EBU’s EURORADIO Ars Acustica group. She is one of the curators of the Radio Revolten.